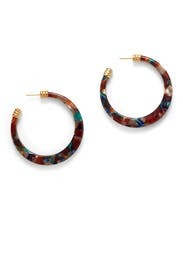 Marbled hues highlight these statement and trend-right earrings by Gas Bijoux. 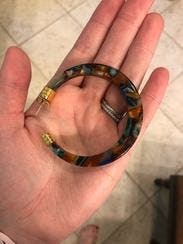 Multicolored swirled resin hoops with 24K gold plated accents. Post backs for pierced ears. 2.5" long. They are surprisingly light for how big they are. Very pretty, but a bit too much for work.